Thanksgiving is coming soon and the winter holidays are right around the corner. For separated and divorced parents, holiday parenting disputes can make your Christmas less merry and sour your New Year. Resolve your holiday parenting disputes now, so you can focus on your family celebrations instead of conflict with your co-parent. In this blog post, I will address holiday parenting disputes, including holiday visitation and gift giving. I will present conflict resolution strategies that will help, and offer suggestions on how to avoid future conflict during the holiday season. What is Your Holiday Parenting Time Plan? Most Minnesota divorce and custody cases include a parenting time schedule that directs which parent has visitation with the children on which days. Some are as vague as “reasonable parenting time as the parties agree”. A more thoughtful parenting time schedule will include specific days and times to exchange the children. But often, those schedules change when the holidays roll around.Your parenting time schedule may include specific holiday parenting time. It may direct that the parents will alternate a list of standard (usually Christian and secular) holidays, or say the parties will divide school breaks between them. When holiday parenting disputes arise, you can go back to your parenting time schedule as a starting point for negotiations. Remember that most parenting time plans are in place “unless otherwise agreed by the parties.” That means you can be flexible. But when you and your co-parent can’t agree, your court-ordered parenting time schedule makes sure that each parent has time with the kids during the holiday season. Often, your schedule is not entirely your own around the holidays. Christmas parties with extended family or New Year’s Eve celebrations may be planned regardless of your parenting time schedules. That can cause problems for blended families. Come to these conversations prepared to manage your loved ones’ expectations about your child’s involvement. Your family members may have been squarely in your camp during the divorce, so they may not value the work you and your ex-spouse have done to be sure your children have close relationships with both parents. If a family gathering is planned for during your co-parent’s visitation, you can promise to try to resolve the scheduling conflict, but you will need to prioritize your children’s holiday experience over your own, or your families. The sooner you can start working out the details of holiday celebrations and vacation parenting time, the better. It isn’t always possible to plan months in advance, especially when extended family is involved. But doing so when and where you can will relieve stress from the holiday season, and give your children certainty that they will get to spend time with both parents during the most festive time of the year. Beginning to address holiday parenting disputes early also gives you the time to engage more comprehensive dispute resolution strategies that could prevent revisiting the same conflicts year after year. For example, if each parent’s family has a holiday party on the same day every year, you can plan to alternate where the children will be now, so you have a clear answer for your family in years to come. When holiday parenting disputes arise, it can be easy to think about yourself and your family’s expectations. It can be harder to keep your children at the center of the conversation. But not all holiday events are interesting or even appropriate for children at every age. When you are trying to decide between holiday events, consider whether the event is fun for your kids. Are there age-appropriate activities available? Will there be other children their age at the event? Have they told you they do (or don’t) want to go in the past? Your kids shouldn’t get to run your social calendar, but when you are trying to resolve scheduling conflicts, keeping their priorities and preferences in mind can help you decide where to push and when to give in to a plan that may not be your preference. Ideally, co-parents would be able to resolve holiday parenting disputes informally through open communication and cooperation. But emotions can make it hard to come to a resolution that doesn’t fully align with your preferences. Holiday parenting disputes don’t have end with one parent filing a motion and laying all your family details out in open court. 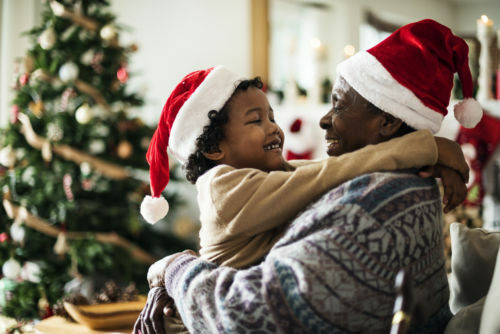 Instead, when holiday parenting disputes arise you may benefit from the help of a professional trained to facilitate communication, identify shared goals, and guide you and your co-parent to a workable outcome. Family dispute resolution can help parents learn healthy ways to communicate needs, wants, and priorities, to work through issues that may not be entirely legal in nature. The family dispute resolution process is also flexible enough to account for your family’s expectations in ways a family law judge may not. Your court-ordered parenting time schedule is a good place to start for resolving holiday parenting disputes, but when schedules or family expectations create conflicts, you often need to go beyond the order and find new paths to resolution. A family dispute resolution facilitator can help you anticipate and resolve holiday-related conflict before they can create a stress-filled crisis for you or your children. Contact Kimberly​ to find out how to work through your holiday scheduling stress now, before the holidays are here and you are left with only last-minute options.